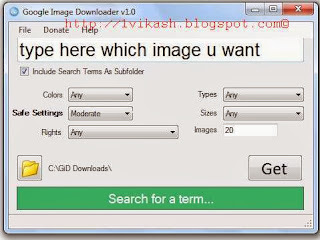 Hi all Users here we a very tiny and powerful app which can hep you download images from Google search . This is a tiny and light weight app which is very fast and work awesome for downloading any Images from Google Search result . This Google Image downloader app give function and settings to your download images as your requirement like Size ,Type ,Colors , Rights ,Numbers of image u want to download and Safe Settings . So what you are waiting for ..? if you need this app just download it from link given below ..
Organization Name : Staff Selection Commission . Application Fee :Payment of Rs. 100/- (No fee for SC/ST/PWD candidates). Where to apply Online ? and then click on " Click here" link of Multi Tasking Staff section . and then a online form will open ,fill your very carefully without any mistake . after filling and submitting your forum successfully you will receive a Registration no , Note or Save it very carefully because you need it part-2 Registration . with minimum size 4 kb and Maximum 11 kb . SBI (state bank of India) internet banking account (Recommended) or SBI Debit Card. Click on click on Examination >> Part-2 Registration >> fill your Registration no and DOB (date of birth) in reacquired section . now they will ask for payment .pay them as your wish after payment successfully they will ask for your digital photo and Signature to upload .upload and submit it . Now all done ,take a print of it if u wish ..
You can easily get tons of Facebook page likes ,YouTube viewers ,Twitter followers , Google+ in very less time and easy without paying a penny :) . How to Convert files to PDF separately . 1. Just go to pdfburger.com and Click on Select buttons . 2.Choose your file which you want to upload then click on Start Button . 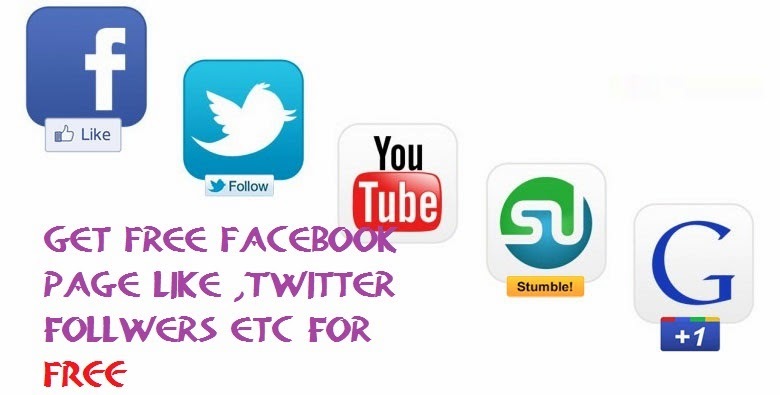 3.Now your file will get uploaded and available to download in some sec or min ,depend no files and size . How to Convert files to PDF Combined . 1. Just go to pdfburger.com/combine-to-pdf and Click on Select buttons . How to Convert PDF files to Images (.jpg ). 1. Just go to http://pdfburger.com/pdf-to-jpg and Click on Select buttons . Last Time we have shared about the Full Talktime on Airtel Recharge and so in this post we going to share on Vodafone Full Talktime Recharge . here you different Recharge amount pack for different State and Major City like :- Bihar & Jharkhand ,Himachal Pradesh , Orissa ,Assam ,Karnataka ,UP(EAST) ,Punjab ,Chennai ,Mumbai,Delhi & NCR , Tamilnadu, Andhra Pradesh, MP & Chattisgarh, Rajasthan ,Gujarat ,Maharashtra & Goa (except Mumbai), Haryana ,Kerala . Here in this Post i am going to share some Free and best Multi Format Image Viewer which work very impressively and Fast . Last i have also posted about some Best and Free Video Converter . Picasa:- Picasa is software that helps you instantly find , edit and share all the pictures on your PC. Every time you open Picasa, it automatically locates all your pictures and sorts them into visual albums organized by date with folder names you will recognize. You can drag and drop to arrange your albums and make labels to create new groups. Picasa makes sure your pictures are always organized. Picasa also makes advanced editing simple by putting one-click fixes and powerful effects at your fingertips. And Picasa makes it a snap to share your pictures, you can email, make gift CDs, print photos home, instantly share your images and albums, and even post pictures on your own blog. XnView:- XnView is freeware software that allows you to view and convert graphic files. It's very fast and easy to use. But more importantly it supports more than 400 graphics formats! Photoscape:- Looking for a program to get a fast overview of your images with simple ways to optimize them ? Than Photoscape is here for you! This tool offers everything to the beginner they need to organize and edit their digital images . Other than the viewer, Photoscape has functions to crop , clone, decolor, sharpen and as well as settings for contrast, levels, vignetting and many other image parameters. Several templates allow to easily arrange photos on a page which can then be saved as a final image or be printed on paper. Photoscape also includes function for easy red-eye removal, batch editing, converting camera RAW files, taking screenshots and generating GIFs, where several individual images can be combined to an animated GIF easily . Every one Love to get Full Talk time on Recharge of their Mobile number , but not every one know that how much exact balance you have to recharge to get Full talktime . 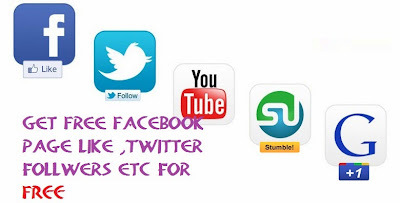 So in this post i am going to share how to get Full talktime on Recharge of you Airtel number . Here is some list of Airtel Recharge pack to get Full talk time on your number .